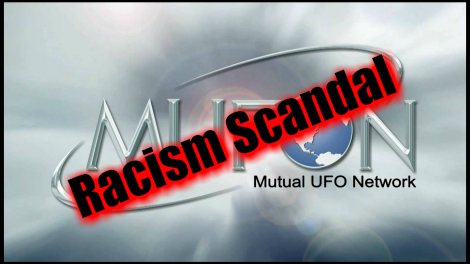 Daily 2 Cents: MUFON's Most Recent Scandal...RACISM! Update on the MUFON scandal, since it's all over Facebook but I've seen several questions about it from people who are just now hearing about it. I'm not interested in trying to "take down" an organization or an individual. My stance on this is simply that someone made some incredibly harshly racist statements, and I was moved to object to them. The original post was saved as a screenshot and shared by several people including Lon Strickler, Anthony F. Sanchez, Ryan Sprague, and Mike Chalero. A lot of other people objected, too, and several days after being notified of the situation, MUFON issued a formal statement disavowing any responsibility for anything "volunteers" post on their social media, and calling those who objected, "haters." Now some heavy hitters in the field are beginning to weigh in. Nick Redfern and Kathleen Marden have posted today about the issue. And today, MUFON's official statement, and all comments on it, have been removed from the MUFON website. Once again, I'm not interested in taking down any individual or organization. But I can't sit by and watch hatred being spread, without at least pointing out the factual errors in the arguments in the hope of bringing some semblance of reason to a discussion. I'm not a member of MUFON, never have been, and probably never will be. It's up to members and potential members to decide whether they want to pay membership fees to this organization, and how they feel about what choices the organization makes. It is my intent to express my appreciation and admiration for the MUFON organization, and for the fine people involved; many of whom I have truly cherished working alongside over the years. 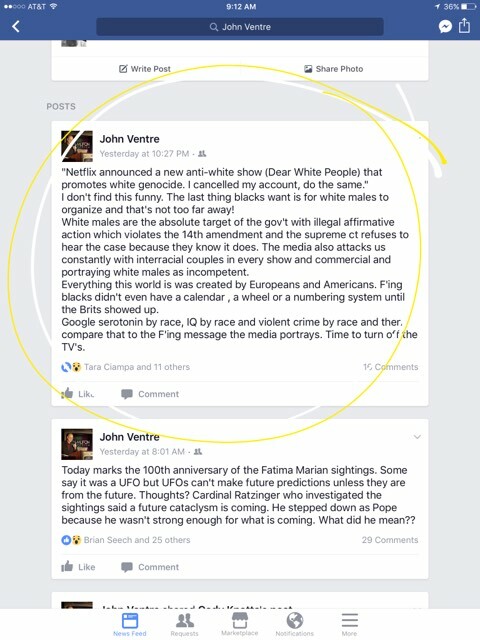 However, it is my feeling that MUFON leadership has shown a lack of proactive engagement regarding a recent incident involving Pennsylvania State Director John Ventre, and his personal views as expressed via social media. Ventre’s sentiments do not, and cannot be allowed to be misconstrued as representative of this organization, due to a fundamental lack of action on part of its leaders. NOTE: MUFON UFO Radio has been removed from the KGRA Roster and they have just been notified. This audio was collected in Acworth, GA near Lake Allatoona﻿. What is your opinion?